With the number of other things to consider before your wedding day – from engagement parties to bridal showers – save the date cards might be the last thing on your mind. You might not have even heard of them, or perhaps you have, but are not sure if they are worth doing. This article explores what they are and the pros and cons of using them. These are invitations which are sent out to your guests to let them know that they have been invited to your wedding, as well as providing information about the date, time and location. They are normally sent 2-3 months after a couple’s engagement and may feature a relatively new engagement photo. They aim to increase the number of guests that can attend your wedding by giving them plenty of notice as to the date of the event. We live in a busy era where calendars are chock-a-block with meetings and parties. 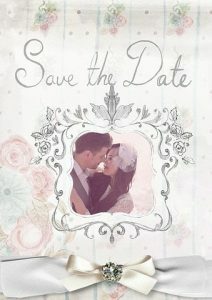 A save the date card is good in that it lets people know that you’re having a wedding as well as the date and location. This means they are given plenty of time to book any travel or hotels required and don’t double up on another event. You can’t assume people will know they’re invited to your wedding just because they’re related to you or are close to you. They may be left guessing, but a save the date card lets them know that they’re definitely on the list. The invitation may also tell them if they can bring a plus one along, which gives them time to prepare. Giving people plenty of notice in advance ensures that they can mark off your date on their calendar as occupied. 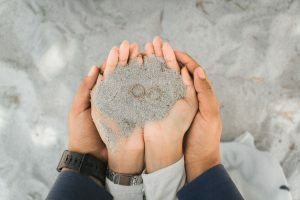 If you don’t send them a save the date, they could accept an invitation to another event or plan an overseas trip in the meantime, meaning that they might not be able to attend your wedding. While these invitations may be greatly appreciated by your guests and also help you to know how many people to expect, there are some downsides to them. After getting engaged, you’ve got to decide upon wedding details such as location, date and time pretty early on. These are things that are difficult to change once you’ve sent our your save the date cards. If you’re on the fence about your venue and date, you might want to skip them and just send out a regular wedding invitation later on instead. Once you’ve invited someone, it’s pretty tough to un-invite them. This is one of the downsides of sending out these invitations. You’ll have to decide who you want to come to your wedding up to a year in advance, and things can change in a year. Once someone has received the invite, they could be set on coming regardless. Producing and posting the save the date cards adds another expense to your budget. Things such as design, printing and postage all cost money. The number of invitations you send, as well as how high-quality they are, can also increase the cost. The pros and cons of sending save the date cards are something you will have to weigh up for yourself.